I found this out a while ago, but haven’t managed to post about it yet other than mentioning it on IRC and maybe a mailing list. 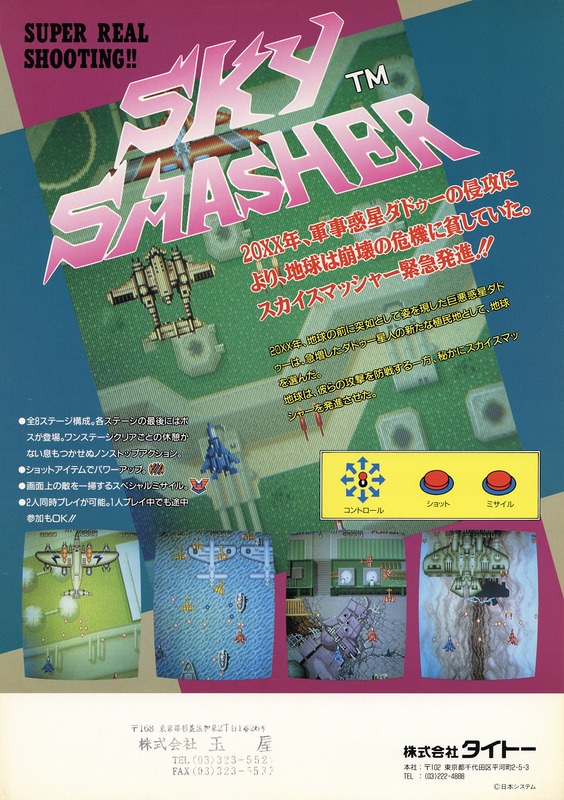 When I discovered Sky Smasher (which is a great shooter you should try out) by Nihon System, one game element really stuck out as being ahead of its time – continuous aimed bullet spreads from the larger tanks, a feature now incredibly common in danmaku (bullet hell) type games from a much later era. It’s known that a lot of staff moved around Japanese companies over the years, so I decided to go looking through the code for hidden credits to see if I could establish a link to staff known to have worked at Toaplan. In the end, I didn’t find what I was looking for, but I found something arguably more interesting. 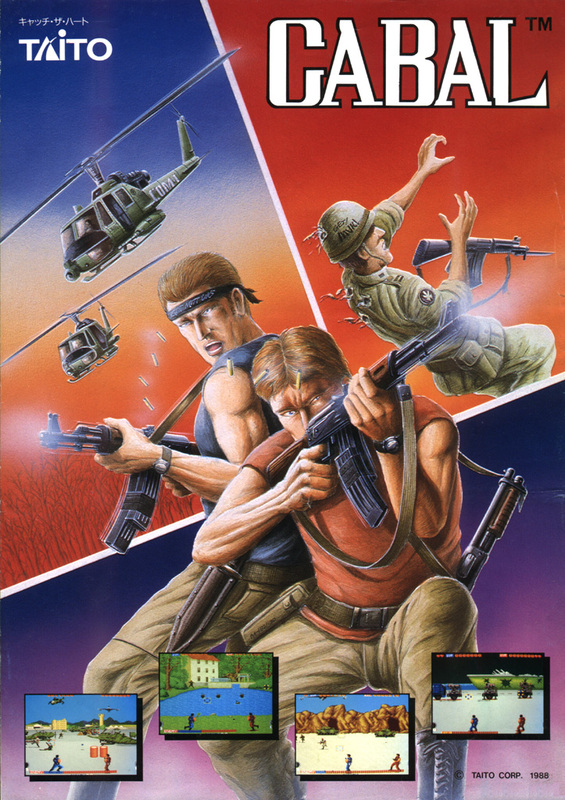 Sky Smasher actually uses TAD hardware, it’s on the exact same PCB as Blood Bros.
And while the names were never as far as I’m aware used together in the same place, Blood Bros is clearly a sequel in spirit to Cabal, using much of the same gameplay, even the victory tune and running into the screen. 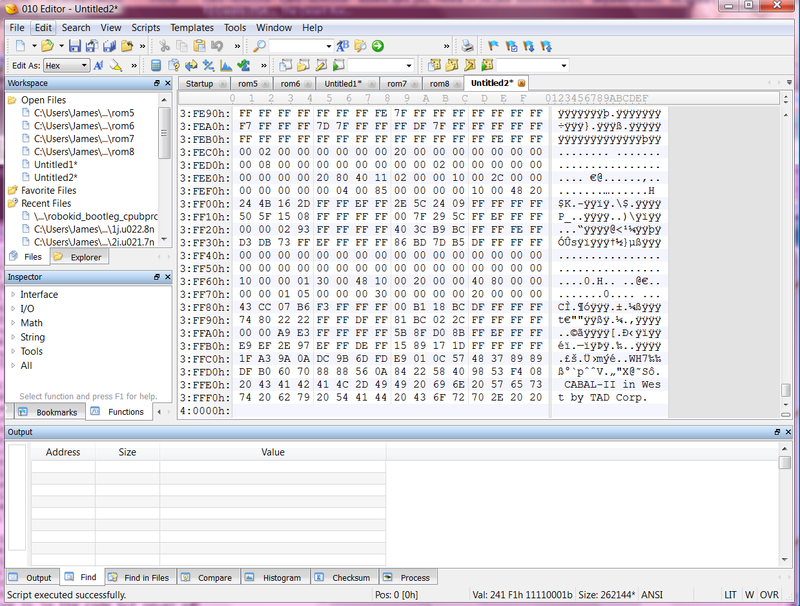 If you want to poke around and look yourself, you’ll need to interleave rom7 and rom8. 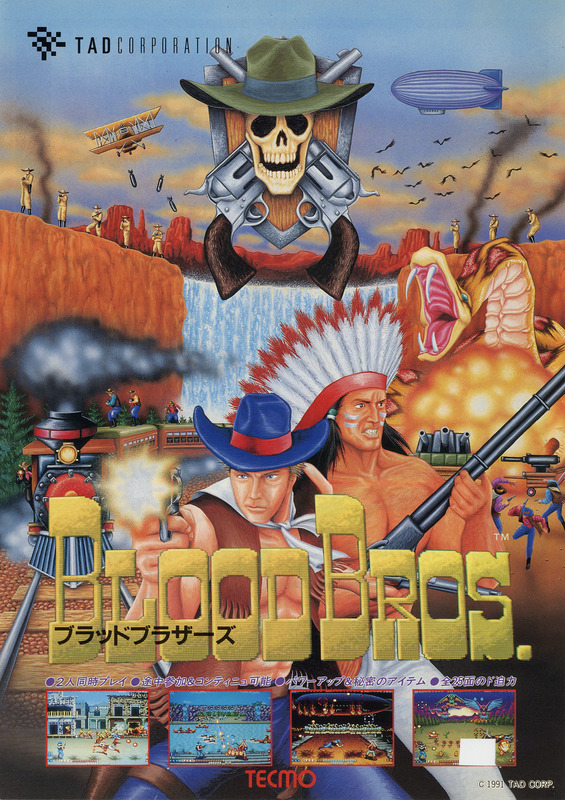 I checked the actual Blood Bros code and it’s been purged from there – so a fun bit of history hidden in another game!